Please send 250 word abstracts to secondbiennialraceconf@gmail.com Please visit the website at www.monmouth.edu/race/ often for further updates. Dr. Catherine Duckett, Associate Dean, School of Science, at cduckett@monmouth.edu. The 2010 CMRS is organized by Camilla Fojas and Laura Kina (DePaul University) and Wei Ming Dariotis (San Francisco State University) and is sponsored by DePaul University Global Asian Studies (formerly Asian American Studies) and Latin American and Latino Studies and co-sponsored by the College of Ethnic Studies at San Francisco State University, the MAVIN Foundation, and DePaul's Cultural Center, African Black Diaspora Studies and American Studies. All queries should be directed to the conference chairs: cmrs@depaul.edu or 773-325-4048. 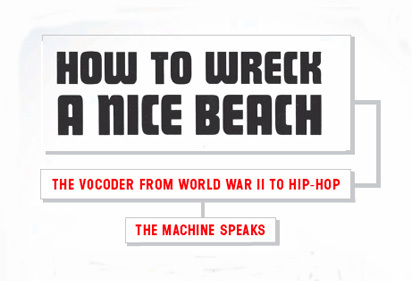 Hip Hop as a Military Crime? 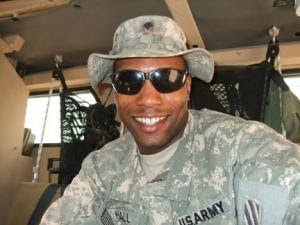 Specialist Marc Hall, a soldier in the 3rd Infantry Division, was jailed in December 2009 for writing and recording a hip-hop song that allegedly made threatening comments in connection with his commanding officers. The song, entitled “Stop-Loss,” what the military terms its policy of holding service members past their contracted enlistment dates, included the lyrics "round up all eventually, easily, walk right up peacefully" and rhymes "up against the wall, turn around . . . Ready to fire down, spray and watch the bodies all hit the floor." The Army interpreted these lyrics as veiled threats, jailed Hall and intended to court martial him. The case not only raises questions about freedom of speech but also the military’s treatment of what it deems potentially dangerous soldiers particularly after the tragic shootings by Nidal Hasan at Fort Hood in November 2009. Jim Klimanski, a civilian military lawyer argues that the song, rather than a threat to his commanding officers, is “political hyperbole” and describes the song as “his rant on stop-loss. It's political speech." The song, which contains graphic lyrics, can be heard here. For both lawyers and hip-hop fans, the Guru letter raises interesting questions. Putting aside technical questions about whether the letter accomplishes Guru’s legal purpose, to what extent do we want one member of a duo or group to restrict other members from using the work or image that was developed collaboratively? In a state that recognizes a post-mortem right of publicity, Guru’s heirs can limit Premier’s exploitation of Guru as an individual. But if Premier is a joint author of any copyrighted works developed by Gangstarr, or co-owner of any trademarks or other property of the duo, will Guru’s attorneys be able to give effect to his wishes? More importantly, in a creative community where collaborations create some of the richest music, and where beefs and splits are common, do we want any member to have veto power over the creative product, possibly limiting all of our enjoyment in it? Think of splits over the years between members of major groups such as EPMD and Eric B & Rakim, or, more recently, Dipset. Guru passed away yesterday, the victim of cancer. 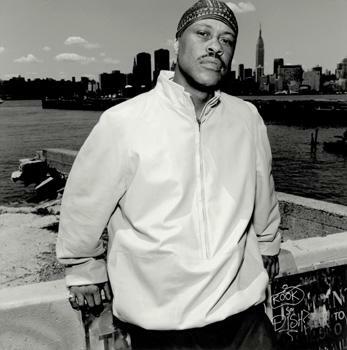 Although many new hip-hop heads might not remember Guru of Gangstarr fame, Guru worked for years with many of the world's greatest artists producing a soulful and passionate hip-hop. Guru's exciting belnd of Hip-Hop and Jazz created the storied Jazzmatazz series. These four CDs contained guest appearences by Donell Jones, Angie Stone, Bilal, Craig David, Issac Hayes, The Roots, Damian Marley, Roy Ayers, Branford Marsalis, and more. My favorite Guru product was "No More" featuring Craig David. Although many in the hip-hop community seemed to think Guru had fallen off from his earlier success, I remian convinced that some of his greatest work was with newer neo-soul artists. This record used to be a hit on my turntables and I even incorporated it into a song on my first mixtape. Also check out Guru's guest appearence on "Johnny Was" from Chant Down Babylon. This is a somewhat complete list of books that might help readers as they pursue hip-hop study that have been published to date. If you've come across other books, post them in the comments. And, if you've read some of these books, post your reviews below as well. Raw Law: Don Diva's Hip-Hop Guide to Criminal Justice by Muhammad Ibn Bashir, Esq. Hip Hop is Not Our Enemy: From A Preacher Who Keeps It Real by Dr. Kenneth T. Walum, Jr.
Hip Hop and Law School Admissions? At the Veritas Prep Blog, last month was “Hip Hip Month” which included a post on how hip hop can help law students in the admissions process. The post describes how “introspection, emotion, and brutal honesty” are qualities that elevate hip hop and these are the qualities of winning personal statements. These qualities are what makes hip hop memorable and relevant and cause people to become invested in it – exactly the reaction a potential law student wants to see from the person reading their personal statement. 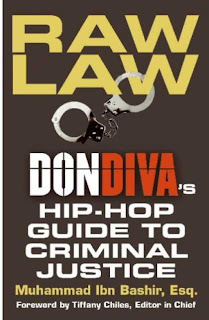 "By now, you HAVE to be wondering: what can you, the law school applicant, possibly learn from a rapper? It's pretty simple, actually: what you can learn is how to tell a story. 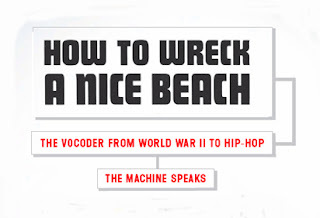 Rappers - the good ones at least - are ultimately storytellers. The hip hop album generally considered to be the best ever recorded - Nas' Illmatic - is basically a spoken word version of his life's journal. The late great Tupac Shakur transitioned easily from "gangsta rap" to books of poetry and back again. These guys gave us tales of their life, made the words rhyme, and put it all over produced beats and sounds. That was their way of telling a story within the confines of a particular form. Law school applicants also have the challenge of telling their unique story within the confines of a form . . . the personal statement." Milwaukee in the 1960s and 1970s was a key site for civil rights marches, particularly around the open housing movement. From 1897 through much of the 20th Century, the city was governed by a succession of Socialist mayors, elected on their platform of practical, "sewer socialism." And Wisconsin itself and its Midwestern neighbors have long been home to experiments inintentional community. We encourage papers, panels, presentations and performances on literary, political, social, and architectural aspects of the civil rights struggle, intentional communities, and practical socialism with a Midwestern focus for the 2010 conference. We also welcome papers on other aspects of the utopian tradition - from the earliest utopian visions to the utopian speculations and yearnings of the 21st century, including art, architecture, urban and rural planning, literary utopias, dystopian writings, utopian political activism, theories of utopian spaces and ontologies, music, new media, or intentional communities. Milwaukee has a rich array of museums, restaurants, theaters, parks, and universities for conference attendees to visit. The city boasts the first U.S. commission by Santiago Calatrava, at the world-class Milwaukee Art Museum; Frank Lloyd Wright buildings; an excellent opera company; microbreweries galore; award-winning chefs; 19th Century beer baron mansions; Lake Michigan, and more. Or e-mail submissions to: brian_greenspan@carleton.ca (please put "sus submission" in the subject line). As you submit your abstract, please indicate if you have any scheduling restrictions, audiovisual needs (overhead projector; DVD/VHS player), special needs, or a need for a written letter of acceptance of your proposal.